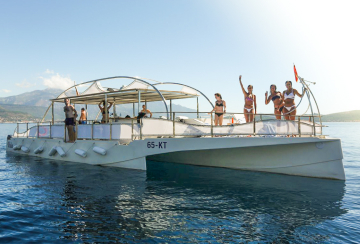 Tivat is situated at the top of the largest bay Bay of Boka Kotorska. Unlike other towns of Boka, Tivat has a spacious environment; Tivat field is gradually margin into the Grbalj vally in the south-east. Population of this small town is not counting more than 15.000 people. Since 1954. Tivat has been an airport on the coast of Montenegro. In 2015. 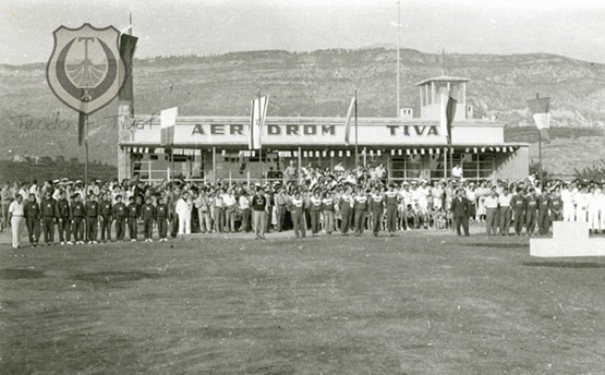 Tivat got its first bus station - until than it was the only city that had an airport and even marina, but no public bus station. 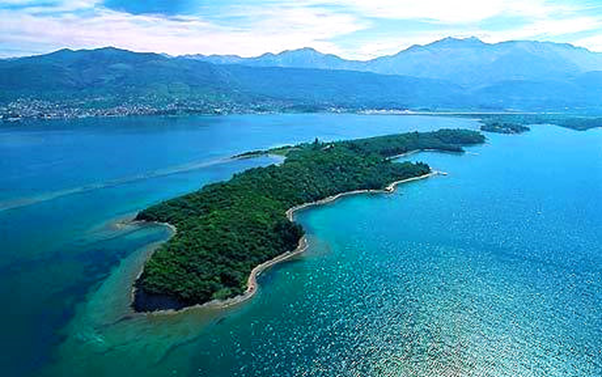 In Tivat Bay there are located three different islands called Stradioti (St. Marko), Our Lady of Mercy and Flower Island (Ostrvo Cvijeća). 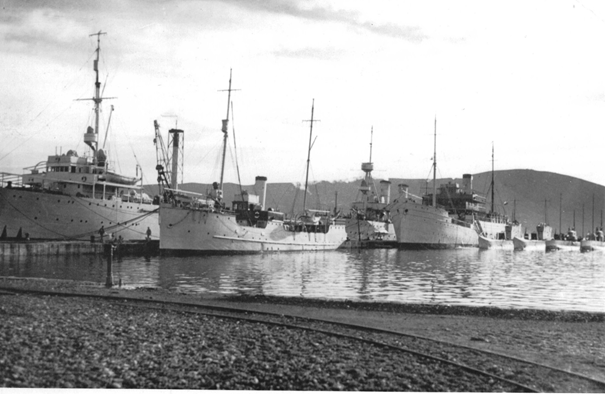 There are three different hypotheses about the origin of the name of Tivat. 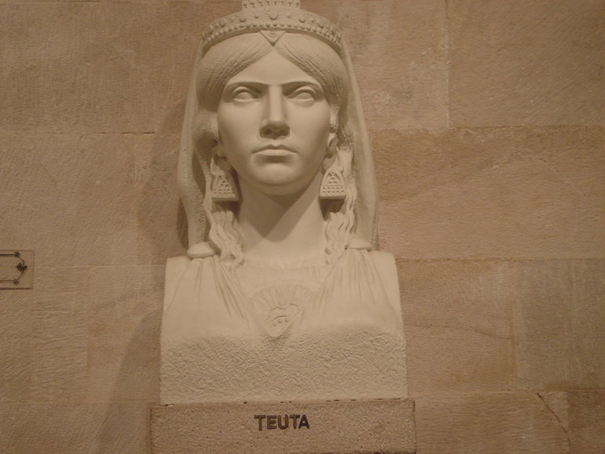 According to the first one, the word Tivat is derived from the name of the Illyrian queen Teuta whose royal capital was in Risan and she probably had a summer residence in the area of present day Tivat. According to the second one, it can be derived from the names of Christian saints such as Theodorus, Theodosius, Theodotus, Thaddeus, or medieval (the 12th century ) Theudo, Teodo. The third hypothesis is very short and with no further explanation. 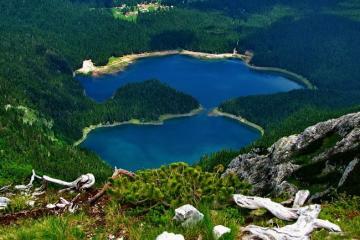 The name is derived from the Celtic word “touto” which means town. 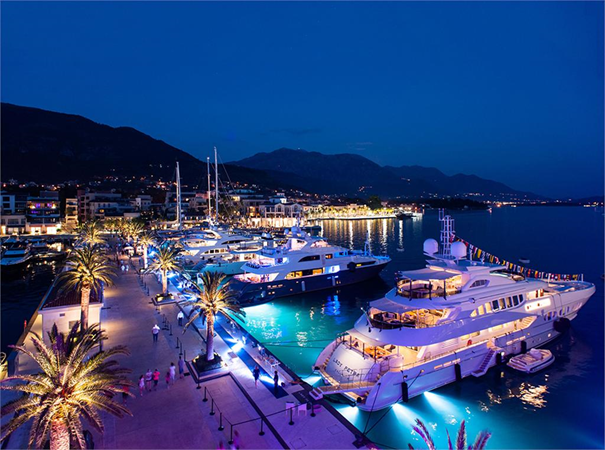 Former military submarine and ship base of Yugoslavia, now is been turned into the most luxury marina in Montenegro. 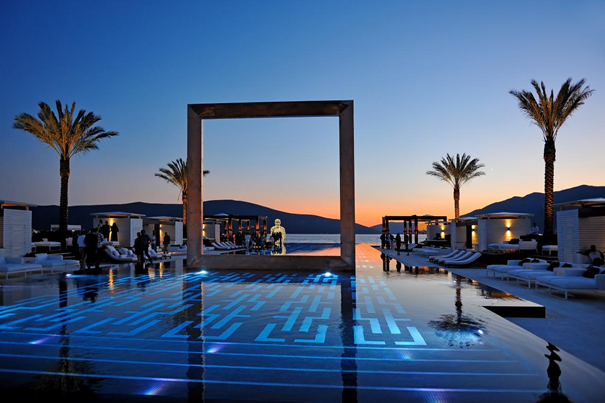 Porto Montenegro is the first comprehensive state-of-the-art deep water marina in the Adriatic Sea. The marina has berths for 650 yachts, 150 of them super yachts, up to 150m long. These is a part of a full-service community of luxury apartments, shops, restaurants and other sports and entertainment amenities. Flower Island has a beach area of 1200 m2 and extends along the whole circle - the length of the isle which is 300 m long and 200 m wide, with numerous small sandy beaches. Its distant from Tivat is only 2 kilometers. This island after five meters wide and shallow straits builds on the peninsula Brda. A 100 meters away is the island of St. Marko (Stradioti), and even so far the Virgin Island (Island and Our Lady of Mercy). Flower Island was previously called Miholjska Prevlaka after the monastery of St. Archangel Michael, now in ruins, that St. Sava Nemanjić established in 1219 as the seat of the diocese of Zeta. This small peace oasis is often visited by religious people, since there is now a Church of The Holy Trinity (Sv. Troijce). It is a single nave building with a semicircular apse and a tripartite belfry. On the western facade, above the portal there is a rosette, and below that plastic fragments. Was built in 1883. By Katarina Vlastelinovic. The very name suggests that it is the island with lush vegetation, in whose shade and you can enjoy it in the smells and tastes of seafood and good wine. Archeological finds show that, at the site of present-day Tivat there used to be a settlement even in antiquity. In Middle Ages Tivat was summer resort for noble families from Kotor. The history of the Bay of Boka can be divided into four main periods: Illyrian, Roman - Byzantine, Serbian, Venetian, Turkish and Austrian. On the coast of the Bay of Tivat there are archeological remains from all of these periods as well as existing monuments of ancient architecture and written historical documents. According to the records known to the public, the first epoch in the development of the town Tivat that is characterized by the Illyrian period, ended in 168-7 year B.C. Even though only few archeological discoveries testify about that period, that epoch is historically important because of the fact that, that was the period of the fall of the Illyrian state. The period of the Roman reign in Tivat was significantly richer than to the one in the Illyrian period. 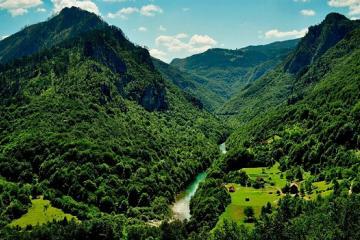 Namely, the Serbian state rules with the area of Boka, that is to say, with Kotor at the end of the 1185. Tivat, until 1370 was under the patronage of the medieval state, on whose head was the Serbian dynasty Nemanjic. According to the certain historical data, the coasts of the Tivat bay at that time became famous because of the development of the spiritual reign. 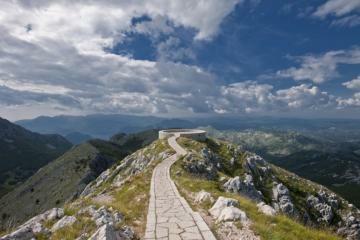 In the 14th century, a Serbian saint, better known as St. Sava (Sveti Sava), establishes a Serbian church. In the same period on the Island Prevlaka near Tivat, St. Sava enthrones the bishop of Zeta, and on the remains of the benediction monastery, a monastery dedicated to archangel Mihailo, which today exists in the same place, began to be built. 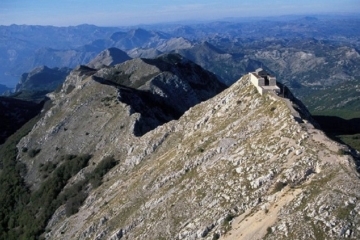 In the year 1420. the coast of Boka Kotorska and the towns that are found on its soil are ruled by the Venetians. 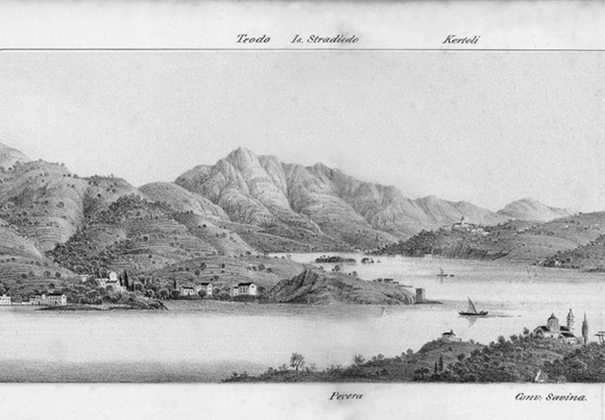 Along with Kotor, Venetian Republic takes over the peninsula Lustica near Tivat as well as the Island Prevlaka (Coating). The entire period of the Venetian reign which lasts until the end of the 18th century, the soil of Tivat is characterized by the often battles between the Venetians and the Turks. Still, the fall of the Venetian Republic in 1797. represents a very significant turnover in the history of Boka Kotorska. 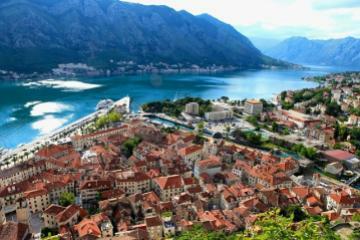 After the Venetians, many other foreign authorities rule Boka and also Tivat, for almost 20 years. 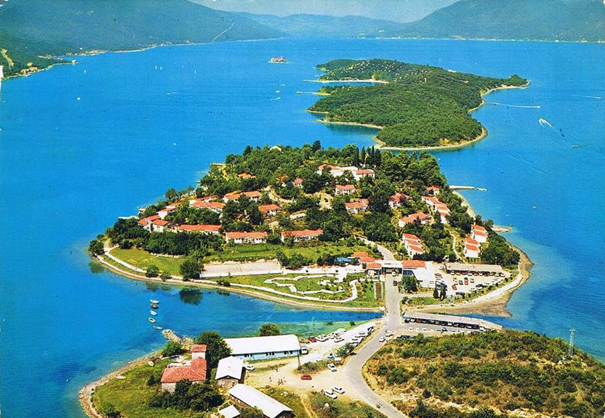 After the year 1945, after the foundation of SFRJ, Tivat begins to develop as a town, which is primarily, oriented to development of tourism, as a prior economic branch in the former Montenegro and Yugoslavia. Today Tivat is a modern tourist town.